A new study, published in the journal Nature Microbiology, has revealed how genes may influence the food that is consumed. Genes influence metabolism, but nutrients may also influence genes by being available to cells. “Cellular metabolism plays a far more dynamic role in the cells than we previously thought,” said Dr, Markus Ralser at the University of Cambridge and the Francis Crick Institute, London Ralser. “Nearly all of a cell’s genes are influenced by changes to the nutrients they have access to. In fact, in many cases the effects were so strong, that changing a cell’s metabolic profile could make some of its genes behave in a completely different manner. The researchers used a yeast model to examine the activity of genes and metabolism related to nutrients. Genes can be regulated by other genes or regions of DNA or by epigenetic modifiers acting like switches turning genes on and off. The different levels of metabolites were manipulated in yeast cells. 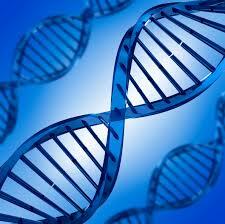 An investigation was conducted as to how this impacted on the behavior of genes and molecules they produced. Almost nine out of ten genes and their products were affected by changes in cellular metabolism.